Devil And A Long Spoon! You are here: Home / EU - Regulating Biking / Devil And A Long Spoon! Discussed and amendments voted on within the MEP Committee on the Internal Market and Consumer Protection (IMCO). The draft contents of “Delegated Acts” have been discussed in the democratic process at stakeholders meeting through the Motor Cycle Working Group (MCWG). 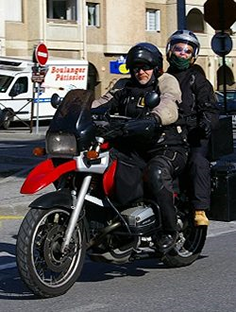 The motorcycling community needs to have an “adult” dialogue and talk to all parties – Commission, Government representatives and MEPs in the IMCO Committee – which is the Committee designated by parliament to deal with this proposal – is absolutely crucial. Without this dialogue, dealing in facts and talking beyond interpretation, there would not be progress and an “end deal”. This “adult” dialogue is also crucial in relation to the Delegated Acts that will set out the “technical” details of the proposed regulation. Equally, it is important to understand that this proposal for a Regulation is not a Directive. Basically a Regulation is binding in its entirety and directly applicable to member states, every country has to accept the same definition. A directive contrasts with a regulation, as a regulation does not allow Member States the freedom to interpret the ruling in different ways, a directive leaves Member States the opportunity to interpret a directive to national peculiarities or to make sure that it fits its own the national legislation. As reported previously by Right To Ride, it seems that Article 18, within the proposed regulation, is one of the main angsts that riders have. This is due to the lack of clarity and as a consequence it has been seen as the part that will stop riders modifying their motorcycles in a positive manner. Accordingly Article 18 has been dubbed the “anti-tampering” article. In our last document “Malcolm In The Middle” we reported that a “high level” meeting took place in Brussels on the 15th May between the European Parliament’s negotiating team led by Chairman of the IMCO Committee Malcolm Harbour (MEP), the Danish Presidency of the EU Council of Member State Governments, and the European Commission, to thrash out the various positions and amendments to the proposed regulation. 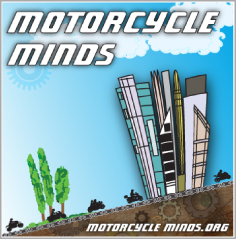 As regards to Article 18 we stated, “the higher powered motorcycles i.e. L3e equal to a full A licence and L4e (motorcycles and sidecars) also equal to a full A licence will be excluded from anti-tampering measures. Furthermore, it was also made clear that the measures that would be introduced for restricted motorcycles – e.g. mopeds, 125cc and possibly for the new A2 licence, were not directed at users and had absolutely nothing to do with bikes in use, with the aftermarket and any modifications that motorcyclists may wish to apply to their motorcycles. The focus of these “anti-tampering measures” on restricted motorcycles is on manufacturers in order to ensure that whatever modifications that they apply before type approval would meet regulation standards. During prior discussions at technical meetings, it has already become clear that the Parliament’s proposal for an Article 18a is unlikely to survive the negotiations because this does not fall within the scope of the regulation. So in big letters in bold font: THERE IS NO PROPOSAL OR INKLING OF A PROPOSAL TO PROHIBIT THE MODIFICATION OF MOTORCYCLES. The agreed text will allow those “smaller” bikes (when their riders on a restricted licence pass a full test) to modify their motorcycles as regards the powertrain to increase the maximum torque and/ or power and/or maximum designed vehicle speed in a safe and environmentally friendly way (This would exclude mopeds that are restricted to 45 kph). Or a simpler way which has nothing to do with the regulation or delegated acts, is for a rider, once they have passed a test for a higher licence category to change to an unrestricted motorcycle – at least the option is there. This also means that a rider with the “correct” licence would be able to modify a motorcycle that comes within these restrictions. There is no mention of, screens, braided brake hosing, crash bungs for these restricted bikes or any other two wheeled vehicle including scooters. However within the Proposals and tightened further in the IMCO amendments, are processes in place regarding the “introduction” of these Delegated Acts. For example the European Parliament and the Council may object to a delegated act, if there are objections to a delegated act, it shall not enter into force. Perhaps this is why riders’ organisations are keen to keep an eye on issues and changes such as these and enter into the debate. However, these Delegated Acts are being formulated within the MCWG which includes a variety of stake holders from the motorcycle Industry, Government Representative and rider organisations. These delegated regulations are part of the legislative simplification which was announced as part of the overall European Commission proposal in October 2010. Depending on how people view democracy and the democratic process, the stakeholders – which includes the so-called European representative of Riders’ Rights organisations, will be given ample opportunity to look at and influence these Delegated Acts which are the technical text to accompany the Regulation. We need responsible and mature representation within these processes in order to follow and comment on the continual changes to the proposals and subsequent regulations. There is a void in Brussels right now and we at Right To Ride believe that motorcyclists – not just in the UK, but throughout Europe are being let down by the very people that should be there sitting at the table talking (even if it means using a long spoon). There is no updated information available on the websites of the European motorcyclists’ representatives – i.e. those that go to the table. 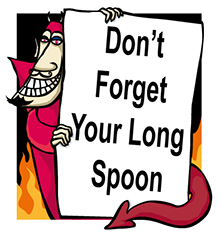 NB: “Using a long spoon” refers to the quote – “If you sup with the devil, use a long spoon” or variations thereof.